Yesterday evening, Chambers UK Solicitors - A Client’s Guide was published. 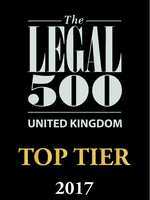 Along with The Legal 500, the book provides a comprehensive review of the UK legal market and involves a considerable amount of effort on the part of law firms in explaining their work over the last 12 months, as well as researchers from the books interviewing and getting feedback from law firms’ clients and contacts. 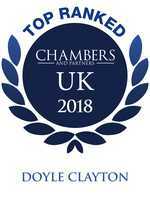 This year Doyle Clayton has been again ranked highly for Employment Law and Immigration in London and number one for these in the Thames Valley. The firm is also now ranked best in class in the UK for its work advising the education sector. Both Andrew Campbell [Partner] - Pensions and Helen Brooks [Partner] - Employment have been recommended in previous editions of Chambers and The Legal 500. 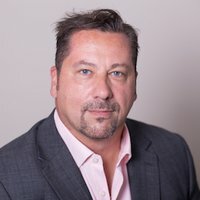 “The fact that all of our Partners and nearly half of our total legal advisers are or have been recommended or ranked as leading individuals is extremely pleasing. And along with feedback from the directories saying that we are "an amazing team”, have “outstanding responsiveness and commerciality” are “a real pleasure to work with” and “the best of the best” I can see why The Times recently in its review of the UK legal market placed us firmly amongst the country’s premiere firms.